Philadelphia’s, by way of Birmingham, AL, Waxahatchee is the solo project of Katie Crutchfield, who makes DIY singer/songwriter, punk. 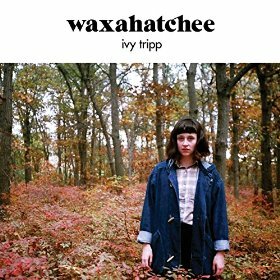 Ivy Tripp is Waxahatchee’s fantastic third full length album, first for the like minded Merge Records, and continues Crutchfield’s exploration of feminist ideas that goes back to her pre-Waxahatchee bands P.S. Eliot and The Ackleys. Ivy Tripp‘s lyrics use Crutchfield’s experiences, or more specifically her mistakes, to demonstrate how a strong, independent woman is formed in today’s society, but it’s clear she’s just an example and makes no claim at creating a road map. Even if you aren’t interested in the lyrics, though, (and really, whether you’re male or female, liberal or conservative, you should be interested) there is a lot to enjoy on Ivy Tripp. Whether you like John Darnielle’s voice or not, it cannot be denied he’s one of the best songwriters in the game right now. For Beat the Champ (his 15th(!) studio album, to go along with a couple books, because why not?) 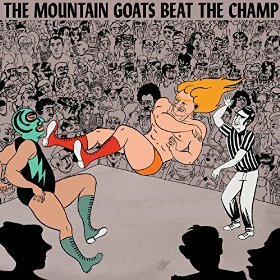 The Mountain Goats frontman has written a group of songs focusing on his childhood love of wrestling, especially local good guy Chavo Guerrero. As per usual, however, this theme is simply an entry way to address his issues with his upbringing, society’s inability to properly deal with mental illness, death, and problems in the world as a whole (on earlier albums the theme has been a failing marriage in Florida, The Bible, a group of people in Washington state, etc., etc., etc.). Beat the Champ is yet another lovely, emotional entry in the band’s catalog, and will continue to grow the cult of The Mountain Goats. 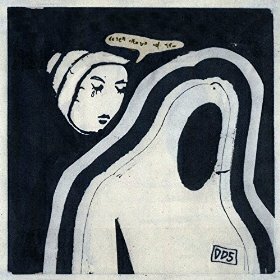 Doldrums makes electro pop music built from samples and Airick Woodhead’s paranoid, nasally vocals. The band’s sophomore album, The Air Conditioned Nightmare (the name comes from writer Henry Miller’s book detailing his horrified reaction upon returning to the United States in 1939 after 10 years in Europe), is chock full of Dystopic images and anxiety, but somehow still brings irresistible beats. This combination of themes, Woodhead’s vaguely Thom Yorke singing, and the dance beats combine to create an album that calls to mind how an imaginary Radiohead dance album would probably sound. Doldrums is not Radiohead, of course, so this may or may not be a compliment, but The Air Conditioned Nightmare is an enjoyable listen regardless. Also out today: Toro y Moi – What For?, Matt & Kim – New Glow, RP Boo – Classics Vol. 1 EP, and Say Lou Lou – Lucid Dreaming. An author and editor at MiG, Craig lives in Minnesota with his wife and son and is an attorney in his real life. Once upon a time Craig played the trumpet and spent four years in the Hawkeye Marching Band and pep band. These days Craig finds himself most often listening to experimental rock, hip hop, and post punk, but you can see everything he's listening to at: www.last.fm/user/cafreema Craig is not ashamed to admit the first concert he ever attended was New Kids on the Block.